Mark Malatesta is a former literary agent and former Marketing & Licensing Manager of a well-known publisher. A longtime book-lover and publishing professional, Mark has always collected quotes and sayings about books, writing, and publishing. He’s written many as well. WritingQuotes.com is a platform to share those quotes with others who share the same passion for writing and books. When Mark was in college he used to create handmade cards and notes and share them with friends on campus. The cards combined quotes and sayings with graphics–not much different from those you see on this website. As Founder and CEO of The Bestselling Author™ Mark helps authors around the world write, publish, and market their books. “Not every author can make the NY Times bestseller list” says Mark, “but every talented author deserves to reach as many people as possible… whether it’s with a traditional publisher like Random House or through self-publishing supported by smart book marketing. That’s what The Bestselling Author is all about. If you’re an aspiring author, click here now to get FREE INSTANT ACCESS to interviews with tips from bestselling authors and Mark’s signature talk: 7 Insider Secrets to Becoming a Bestselling Author. 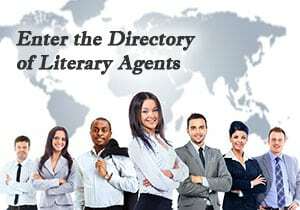 Literary Agent Undercover is a division of The Bestselling Author™ that helps authors get top literary agents and book deals with traditional publishers like Random House. Mark went “undercover” as a literary agent for five years to learn how to get his own books published. During that time, he became a NY Times bestselling literary agent (something that took him by surprise). Literary Agent Undercover is built upon the simple fact that it’s almost always better to “get paid to publish” instead of “pay to publish” and waste years of your life (and possibly thousands – or tens of thousands – of dollars) self-publishing or working with vanity presses. Established in 2011, Literary Agent Undercover serves: A) Unpublished authors just getting started, B) Self-published authors who now want to find a tradtional publisher, and C) Previously published authors that need a new literary agent and/or publisher. A former literary agent (President & Owner of New Brand Agency Group), Mark has helped countless writers launch their publishing careers. Authors that Mark Malatesta has gotten published include thriller author Jim Brown (24/7, Random House), award-winning young adult author Carol Plum-Ucci (The Body of Christopher Creed,Harcourt), nonfiction self-help author Aggie Jordan (The Marriage Plan, Doubleday-Broadway), and best-selling gift book author Harry Harrison (Father to Daughter,Workman). Other publishing houses that Mark has secured contracts with include Simon & Schuster, St. Martin’s, Hyperion, Prentice-Hall, Workman, Andrews-McMeel, Entrepreneur, Barron’s, Amacom, and many more… resulting in millions of books being sold, as well as works being picked up for TV, stage, and feature film (with companies like Paramount Pictures and DreamWorks). Authors that Mark Malatesta has worked with have gotten 6-figure advances, been on the NY Times bestseller list, been licensed in more than 30 countries, and won countless national and international awards and honors. Mark also spent several years as Marketing & Licensing Manager of Blue Mountain Arts (the book and gift publisher that invented e-greetings, then sold their e-card division for close to $1 billion at the height of the dot com bubble). Mark scouted for new talent, helped develop new products, and negotiated distribution and licensing deals at events like Book Expo America (BEA), the London Book Fair, and the Frankfurt Book Fair. In addition to serving as CEO of The Bestselling Author™, Mark is the Marketing Director and Head Trainer for Born Celebrity …a business/brand development company that he runs with his wife and business partner, Ingrid Elfver. Born Celebrity helps creative entrepreneurs combine their unique life experience, skill sets, and authenticity with “clever” business and marketing strategy. Born Celebrity clients aren’t just interested in money — they’re equally committed to living their true passion and making a positive difference in the world. Born Celebrity currently has more than 100,000 followers/fans. Founded by Ingrid Elfver in 2010, Born Celebrity works with clients that are (or want to be) trendsetters in their industry. As a result, Born Celebrity clients are frequently quoted by and/or featured by the media. For example, Born Celebrity clients have appeared on CNN, ABC, NBC, FOX News, PBS, Extra, The Huffington Post, etc. Theyve appeared in magazines like Time, People, National Geographic, Cosmopolitan, Bazaar, etc. They’ve published books with major publishing houses like Random House. And they’ve been paid spokespersons for major brands like Macy’s, Sears, Marc Jacobs, Walgreen’s, HP, etc. A writer at heart (the reason he became a Bestselling Author Coach™ in the first place), Mark Malatesta is one of those publishing professionals that understands — and genuinely appreciates — writers. Publishing is all too often an industry filled with cynics that are quick to tell authors why they can’t be successful, instead of showing them how to increase their chances. As a result, Mark is popular speaker at writers conferences and other events. Mark enjoys sharing his unusual blend of inspiration and insider information wherever he goes. Mark has delivered keynote addresses and seminars at some of the most prominent writers’ conferences in the United States and abroad. 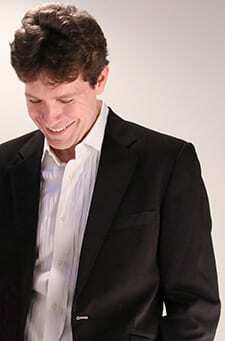 He’s also written feature articles for publications like The Guide to Literary Agents and a column forWritersDigest.com. If you’d like Mark to speak to your group, check his availability by calling (800) 928-5028 or submit an email here.